On Sunday 18th September, Badminton Park filled with riders who were invited to jump around in aid of SSAFA, The Armed Forces Charity. Around 750 riders from across the UK, including Scotland, enjoyed fine weather, great ground conditions and a fun ride around the beautiful Badminton Estate. 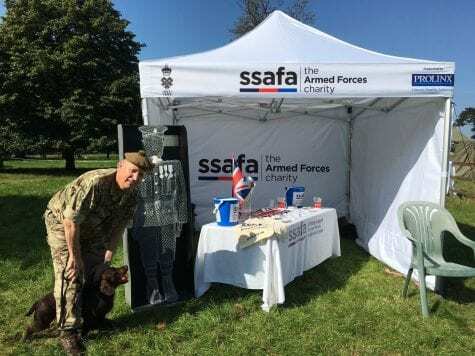 Prolinx has loyally supported SSAFA over the years, and this year was no different. We made sure they had a presence their in style by sponsoring their gazebo. We think it looks very smart!